When Diddy was working with Day26 for his "Making the Band 4," he had a lot of talent. There were many men vying for a spot on the final band. Along with the people he liked, there were the people he did not like. From the start, he clashed with Donnie, but he could not deny the talent he was. Diddy portrays a nice-guy demeanor, but he is very demanding when it comes to his work. Despite mistakes being a part of the learning process, they are not accepted in Bad Boy. Diddy can be very stubborn and downright mean when mistakes occur. The pressure he put on his workers did not compare to the pressure Donnie put on himself. There was one time when Diddy was getting on the entire crew for not doing their job. In the middle of his rant, Donnie yelled out "really?" and Diddy lost it. From that moment on, he rode the lone white guy left harder than any other person competing. In the end, he explained to Donnie that he liked the attitude he displayed. However, he would not tolerate being disrespected especially in a company he build. Soon, he had Donnie placed into the band, but he did not fit in. Because of this, Diddy soon had Donnie removed from Day26 and he made him into a solo artist. For the past two years, Donnie J. Klang has been a solo artist. 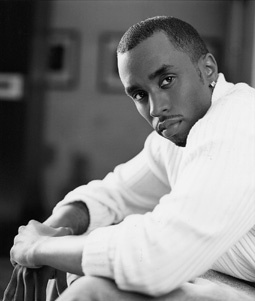 To date, he is most-known for a song which featured both Diddy and Ja Rule. The song had nothing but star power behind it. It did not even make a dent on the charts. Still, Diddy realizes the potential Donnie has, but because he is reorganizing the company, Diddy decided to allow Donnie to leave the label and pursue other opportunities.